There is a duty under the Fire Safety Order to take such fire precautions as may be reasonably required to ensure that premises are safe for the occupants and those in the immediate vicinity and a general duty to carry out a fire risk assessment. This breakfast workshop and networking event aims to raise awareness of and clarify the fire safety building regulations for commercial buildings – to educate responsible persons and occupiers. From this event the University of Wolverhampton would like to develop partnerships with attendees for potential collaborations which will contribute to the resilience of local businesses and reduce their environmental impact. Local professionals are cordially invited to attend this FREE workshop organised by EnTRESS (Environmental Technology & Resource Efficiency Support Services). Due to space limitations this event is not open to members of the public and tickets are limited to one per company. Matt Mellors, University of Wolverhampton – Matt is EnTRESS Project Manager. Dr Paul Hampton, University of Wolverhampton – Paul is a Chartered Building Surveyor with a wealth of experience in industry and academia. He is Associate Head of the School of Architecture and Built Environment in the Faculty of Science and Engineering at the University, and has recently been appointed as the new Global President of Quantity Surveyors International (QSi). 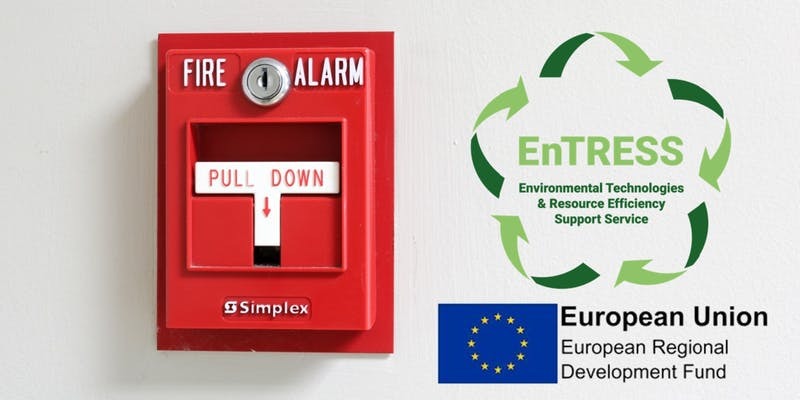 This event is run by EnTRESS (https://youtu.be/fggM10DhX4U) and the team will be on hand to discuss how their project can support you in developing and implementing environmental technology and increasing productivity through efficient use of resources. EnTRESS work with small and medium-sized enterprises (SME) in the Black Country. If you think you could benefit from the free support offered by EnTRESS then come along to this event and find out more.